The premises are situated on Lees Road close to the junction with Newstet Road within Knowlsey Industrial Park. Liverpool City Centre is situated approximately 7 miles to the south west and Kirkby town centre approximately 1 mile to the west. The property fronts on to the easterly side of Rodney Street close to the junction with Knight Street to the south east of Liverpool City Centre. Rodney Street is within a conservation area and forms a well-established office/residential/medical consultancy district of Liverpool. The property and land occupy a prime location in a highly prominent position overlooking the junction of two arterial roads the A59, (Walton Road & Kirkdale Road) and the A580, (Everton Valley) in Liverpool with extremely high levels of football and passing traffic. The subject property is in a prominent location situated fronting onto Prescot Road close to its junction with Broadgreen Road approximately three miles west to Liverpool City Centre. The property is located fronting onto Cheapside within the Eden Square development with the upper floors comprising private residential apartments. 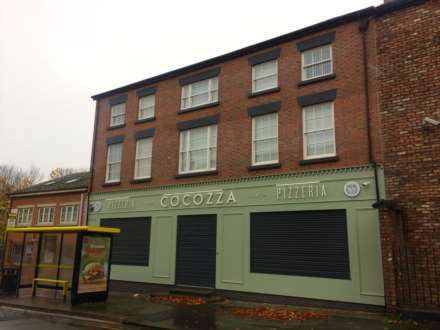 The property is located fronting onto Wavertree Road (B5178) close to its junction with Kinglake Street and in close proximity with Edge Lane (A5047), the main arterial route linking the M62 with Liverpool City Centre which is approximately 2 miles west of the subject property. The premises are situated on Canal Street at the junction with Link Way West on the periphery of St Helens Town Centre.